1. Setup Google Analytics: Or, if you prefer, some other anayltics package. 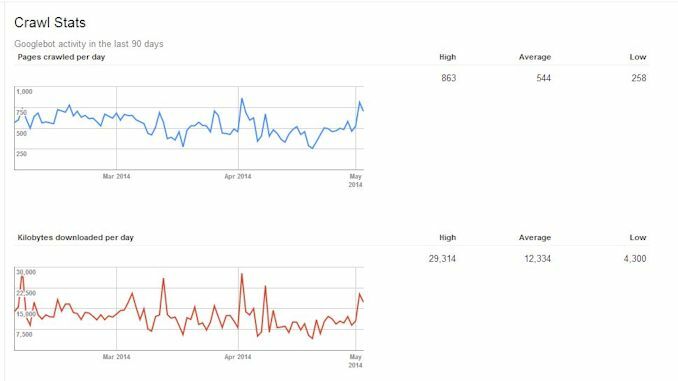 Don't rely on the analytics your web hosting company provides you, because these are usually pretty primitive and as your knowledge of how to use analytics grows and expands you will find this very limiting. Setup your analytics software right away because that way it can collect history over time which you won't have if you install it later. 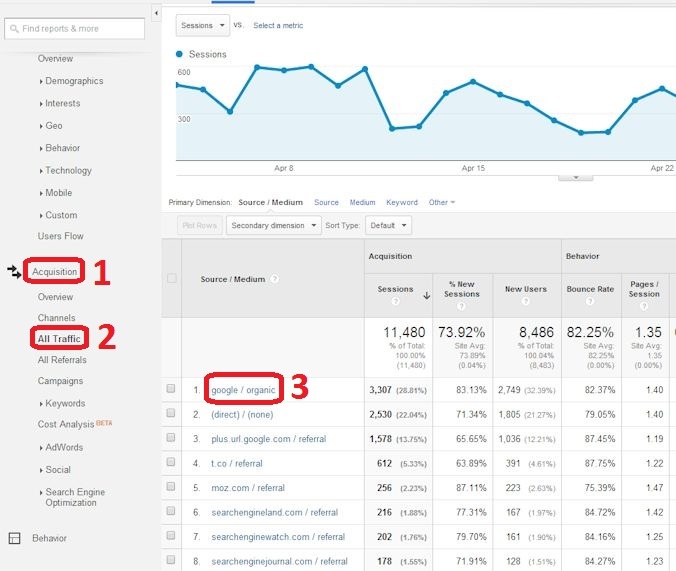 Google Analytics is a great choice because it's free, and actually pretty powerful as well. This is a must do because it helps you measure the bottom line, and that's a really good thing. Note that if you don't sell products directly off your site, measure contact requests, or visits to key pages, or other metrics that will help you see if that organic search traffic is benefitting your business! 3. Check Your Indexing Status: This is one of the basics, and it's easy to do, as it requires only two steps. The first step is to write down on a sheet of paper how many pages you think your site has. If you have a blog or an e-commerce site, you need to remember all the category pages or archive pages. You don't need an exact count for this, but you do need to hvae a sense as to whether or not its dozens, hundreds, thousands, tens of thousands or more. 4. 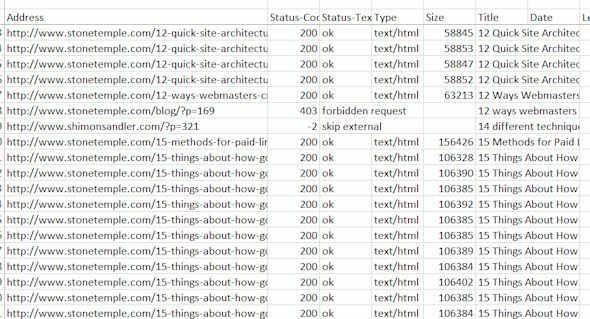 Run a Crawler on Your Site These are tools that will read your site in the same mechanical way that Google does. Here are two good ones to use: Xenu or Screaming Frog. Xenu is more of a general purpose crawler and Screaming Frog is more targeted at SEO. Whichever you use, make sure to fix all the "Page Not Found" errors. These are also known as 404 errors as this is the status code returned by a web page when someone tries to access a web page that does not exist. When Google sees a lot of these it can lead them to believe your site is of poor quality. You don't want that! If you use Screaming Frog you can spot other problems, such as the presence of missing or duplicate title tags, but more on that in points 6 and 7 below! 5. 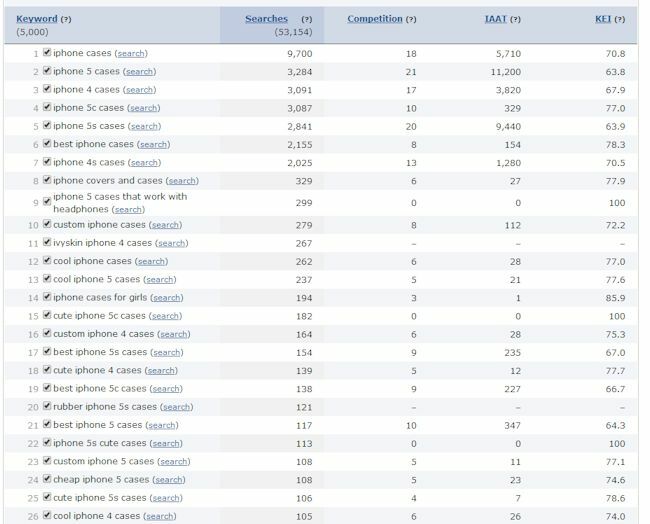 Pull keyword volume data Find out what keywords related to your business are most searched on by users. 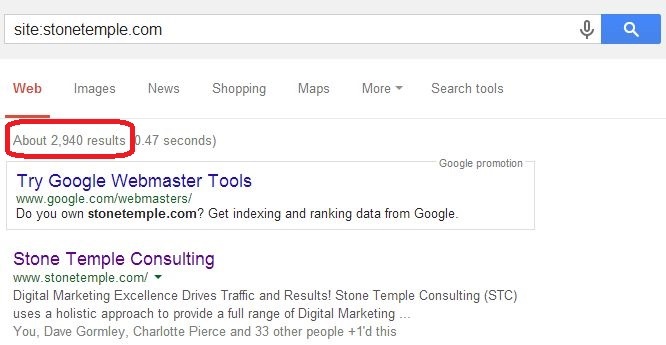 There are several tools that can do this, including Google's Keyword Planner (requires that you have an AdWords account), and Wordtracker. If you are speaking in the language of your customer, this will inevitably lead to good results for you, not just for SEO, but also for conversion. Important note: Don't slather these words all over your pages with reckless abandon (sometimes aka "keyword stuffing")! You still want to create pages that look good, and intelligent, when your prospective customers are viewing it. What user needs do you think you address? Can you do some surveys of people or run some tests to ask those prospects that needs they think they have? This is an important step - it is very hard to close a customer if you don't bring them to page that speaks to their need. Once you have the list of pages you want, use your keyword research to help you pick out your title tags, as well as help you understand how to structure the content on the page. 8. Create Remarkable Content: One of the big problems with the world of SEO it that there is so much disinformation out there. Article after article will talk about some trick someone learned that "drives SEO". Much of this advice will lead you to do things with your site and content that is only for search engines, and most of that advice is bad. May not be simple to do, but it's how businesses make it, or not, in today's digital world. Last, but not least, you need to let people know what you have done. We don't live in a "build it and they will come" world. You do have to get out there and promote your business, and more importantly the great content you have created. The ways to do this are many and varied, but include building up a strong social media presence, publishing columns in journals/blogs that cover your industry, speaking at conferences, and concepts like these. If you have completed the first 8 steps, this last one will turn out to be easier than you think! 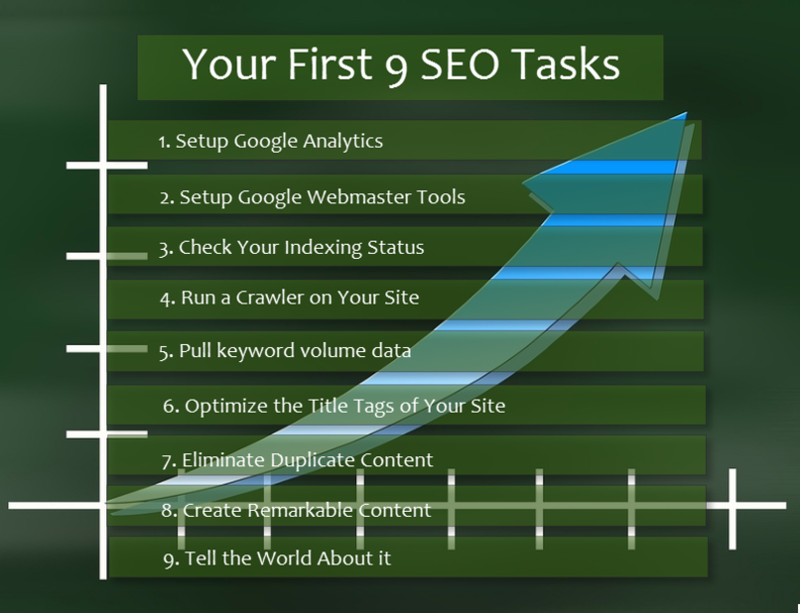 So there you have it - 9 steps to launching a web site that is search engine optimized. No doubt that there is a lot of work here, but the upside is well worth it.